BGT Materials Limited (previously BlueStone Global Tech) is a Manchester, UK based graphene producer. 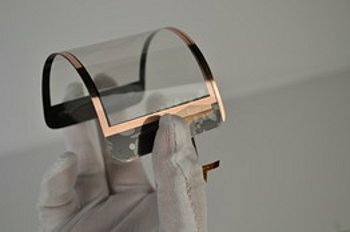 BGT offers high-quality, fully customizable graphene on several substrates (Quartz, Copper, Silicon and others). BGT Also offers a range graphene and graphene oxide based products, including suspensions, inks and membranes. In September 2013 BGT announced plans to collaborate with Manchester University on several graphene projects, including research into supercapacitors, plasmonics and filtration membranes. BGT is the first industrial partner of the £60-million National Graphene Institute at the University of Manchester. The company has spun-off two companies, Graphene Lighting (that aims to commercialize LED lighting enhanced by graphene) and Graphene Security (that focuses on graphene-based RFID tags and antennas). In February 2013 the company announced the availability of 24" by 300" graphene-on-copper foils. In April 2013 we interviewed the company's CEO and discussed the company's technology and business. BGT Materials, the UK-based graphene technology company, has announced that it has received the first commercial order for its subsidiary, Graphene Security. 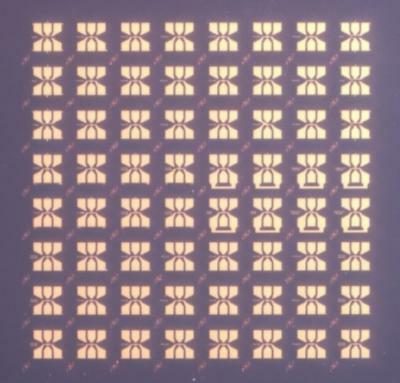 GS, developer of flexible and green wireless antenna solutions, has chosen its first application to be in the RFID industry where graphene is used as the antenna inlays. This technology was recently demonstrated in the Mobile World Congress in Barcelona. BGT Materials has also a second subsidiary, Graphene Lighting, that designs and manufactures next-generation LED lighting, using graphene as a thermal dissipation solution. It has developed the Graphene Light Bulbs, and a full product rollout is underway which includes a full range of home, commercial and street lighting. According to The Times, the UK is set to launch an investigation relating to the NGI and BGT Materials. The inquiry will follow concerns that lucrative information could be passed to China through BGT, a British company majority-owned by a Taiwanese businessman. It was even claimed that academics refuse to work at the £61 million National Graphene Institute (NGI) due to these concerns. The NGI and BGT refute these claims. The NGI stated that: "The University of Manchester has thoroughly investigated all of the claims and allegations put to it by the Sunday Times and has found no evidence whatsoever that BGT Materials or Bluestone has had access, outside of any confidentiality undertaking, to confidential research programmes or that there were insufficient safeguards to protect the University’s Intellectual Property. Smithers Apex announced the speakers for the first Graphene World Summit, a graphene-focused event that will take place September 15-16 in Kerkeley, California. The speaker list is quite impressive - and it includes IBM, Argonne National Laboratory, Applied Graphene Materials, Grafoid, Bluestone Global Tech, Cambridge Graphene Center, Cientifica, Graphene Frontiers, Graphene Technologies, Sungkyunkwan University (SKKU), Graphenea, Strategic News Service, XG Sciences, Raytheon and more. The summit will focus on bringing together the scientific and business communities. Planned sessions at event include the global path to standardization, innovation and commercialization; investment strategies; material development and production case studies; and game-changing applications and commercialization success stories. In 2013, Shanghai-based Powerbooster Technology developed a graphene-based flexible touch-panels for mobile devices, with ambitious plans to mass produce those panels. The graphene supplier for powerbooster is Bluestone Global Tech (BGT). Now it is reported that BGT, Power Booster and Xiamen University established the Graphene Industrial Technology Research Institute in Xiamen. The will mainly develop the applications of graphene in batteries, touch screens, cancer treatment, LED lamps, sea water desalination and more. A few days ago we reported on Bluestone Global Tech's new graphene based Field Effect Transistors. We have discussed it with BGT and have some more details on this exciting development. So first of all, we reported that the Gray-FETs are currently offered for research only, but BGT says that they are using a fab that can produce these in volume "to meet most demands". So this is suitable for commercial applications. In fact BGT is already in talks with several academic and industrial customers. Having a standard GFET product can save a lot of time and will enable those customers to develop their own products based on these transistors faster then if they need to first develop the GFET themselves.